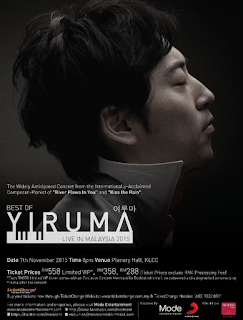 It was a wonderful night on last Saturday with Yiruma's music as he performed for Best of Yiruma Live in Malaysia 2015 on 7th November 2015 at The Plenary Hall, KLCC which was organized by Mode Entertainment. Yiruma is a famous South Korea pianist and composer with his few well-known music which includes "Kiss The Rain" and "River Flows In You". 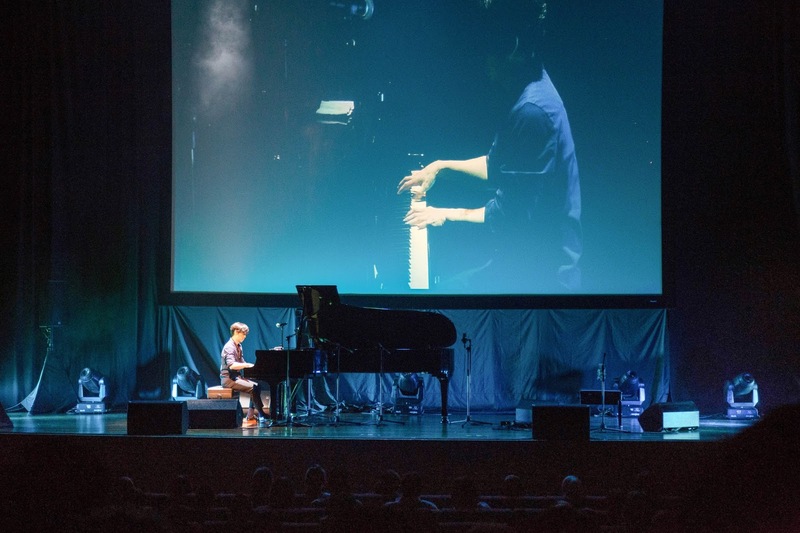 It was a full house concert on that day and the famous pianist performed a total of 20 songs from his latest album, "Piano". The latest album summarized his achievement with piano and also brought a meaning of recreating the sound around us through piano. The concert started with a two medleys of "May Be" & "Love" and "Love Me" & "Fairy Tale". For those who do not know, "Fairy Tale" is one of the tracks from the soundtrack of the popular South Korean drama, 'Secret Garden'. 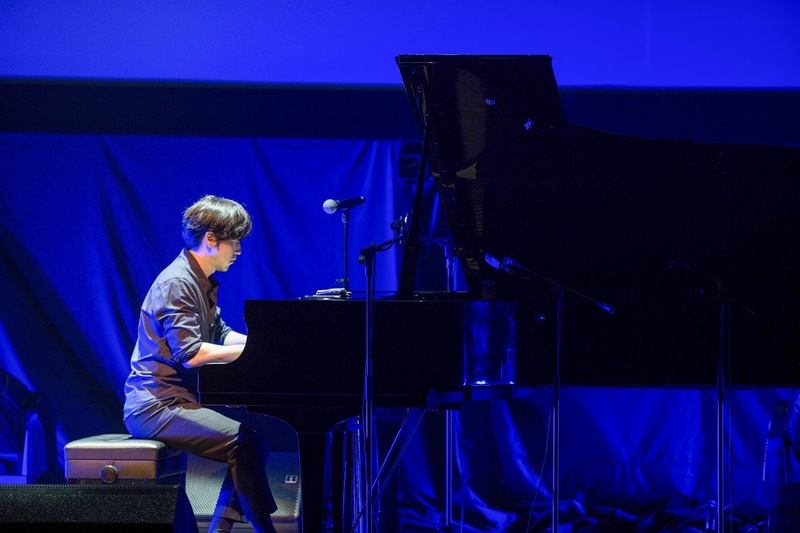 Yiruma then introduced himself and even expressed his gratitude by thanking the audiences for coming to the concert. He mentioned that without the audiences, his music would be just notes. The audience were encouraged to recall their stories and memories during the whole concert to make the music feels more real. During the second part of the concert, the pianist performed his well-known songs, "Kiss The Rain" and "River Flows In You". He also showed his witty side by jokingly said that the audience came to the concert to listened to the two songs. The highlight of the day was impromptu play with a lucky one from the audience! One of the audience was invited to the stage to repeat a random note. 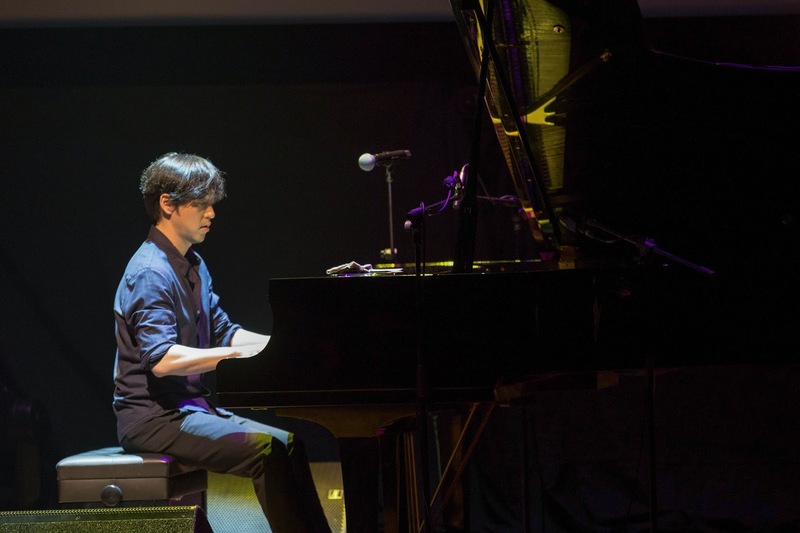 Yiruma then would create a brand new song based on the repeat note. The impromptu play was named as "Green Something" by the lucky audience. 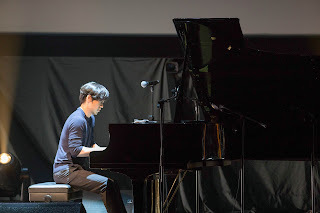 Furthermore, Yiruma's cellist friend, Yong Kim, was also invited to collaborate with him for a few songs at the concert. Before the concert ended, he played 2 additional songs, "Photographia" (a Spanish song, collaborated with Yong Kim) and "Autumn Leaves" (a French song). 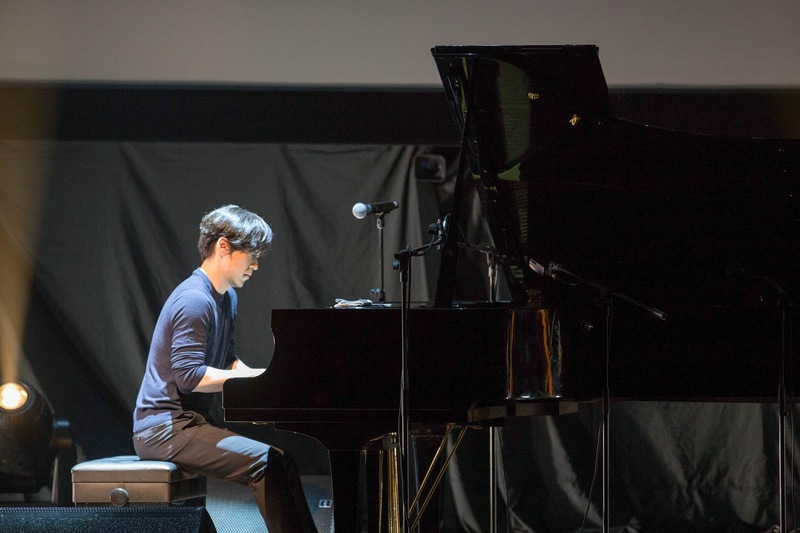 During "Autumn Leaves", Yiruma interacted with the audience where he asked the audience to sing along with the melody. It was interesting to be able to see Yiruma playing on songs with different style including Classical and Jazz. KloseUP would like to specially thank Mode Entertainment for giving us the opportunity to cover this event.